I love this product! I use it for every day cooking. 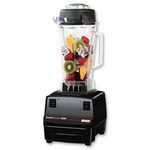 I use this to make nut butter and of course smoothies! It is a really powerful tool that is necessary in all cooking kitchens. Highly recommend! This is great. Love the wide blender so stuff doesn't get stuck! It blends everything to perfection and has met all my challenges!!! 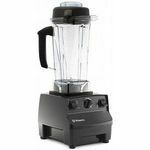 This is excellent for blending and mixing for shakes and juices. Does an excellent job grinding up whole fruit cores. We made potato soup in this device and it turned out devine. Had a nice creamy texture and heated up wonderfully. 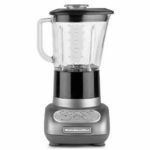 I couldn't say more about this blender! Hands down the best! Easy to clean, amazing when I'm Making my babies food! So easy and hassle Free would highly recommend the efficency. I made 3 different baby foods in 35 minutes and cleaned blender after each food! It was super convenient and such a time saver! Worth every penny! I love this machine. Easy to use. Chops easily. Easy cleanup! 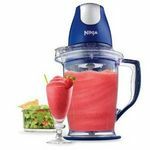 I love smoothies and this blender can make them quickly and efficiently. The blend is nice and creamy no ice chuncks. I have had this blender for over a year. I have a couple of different size pitchers. 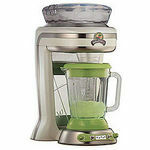 I use one to make soups and juices. A small one to grind oats for flour and another to make smooth creamy nut milk. I grind my wet ingredients in it when I'm baking . My juices come out smooth and creamy even if I add powder. It's super easy to use with a diagram dial and on off switch. I wipe it down and blend soap and water in the pitcher to clean. 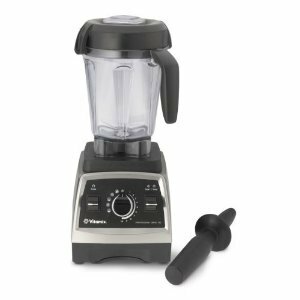 I sold all my other blenders. If I need to blend or grind anything it goes in my vitamix I use this and my mixer for everything I make. It is a staple in my kitchen and reduced the need for a lot of other similar appliances. Our Vitamin has been a staple appliance on a daily basis in our home for over three years. We use it daily for smoothies that I make and my kids also love to help. Great as a sous chef during dinner or party prep. We have made drinks, soups, ice cream, hummus and many other great recipes. I would highly recommend as an addition to any kitchen.